Perched above the street in desirable Franklin Hills, this 3BR/2BA home will delight with its cozy warmth and multiple entertaining spaces. As you enter, you'll find quality materials and charming touches. Rich wood floors, and lots of windows set the tone as you enter the spacious living room and dining area. The upgraded kitchen is accented by granite counters, Carrera marble backsplashes, Restoration Hardware lighting, a farm style sink, stainless steel appliances, and lots of storage. The Master BR, with beautiful Schoolhouse sconces, has California Closet built-ins. BR#2 and full Bath, complete the main floor living area. Downstairs, with a private entrance, is a spacious 3rd BR, with multiple closets, and 3/4 BA. This 447 sq. ft. space has endless possibilities as an office, studio, guest house, rental unit or even a second Master BR suite. The multiple outdoor living areas will attract those who like to entertain, as well as those looking for their own private haven. In front, is a deck for dining and viewing, and a grassy area for lounging, picnics and child play. The backyard is a dreamy oasis. A Saltillo tile-covered patio and dining space. Tiered planters and lush landscaping line the staircase to a huge deck, ideal for a gathering of twenty or an intimate and private setting for two. Walking distance to Sunset Junction, restaurants & shops, and farmer's markets. Close to Griffith Park, The Greek Theater, and Dodger Stadium. Franklin Elementary School District. Lot Size: 0.07 Acres / 3199 Sq. Ft.
SchoolsClick map icons below to view information for schools near 3903 Fernwood Avenue Los Angeles, CA 90027. Listing provided courtesy of Janice Grumman, First Team Real Estate. 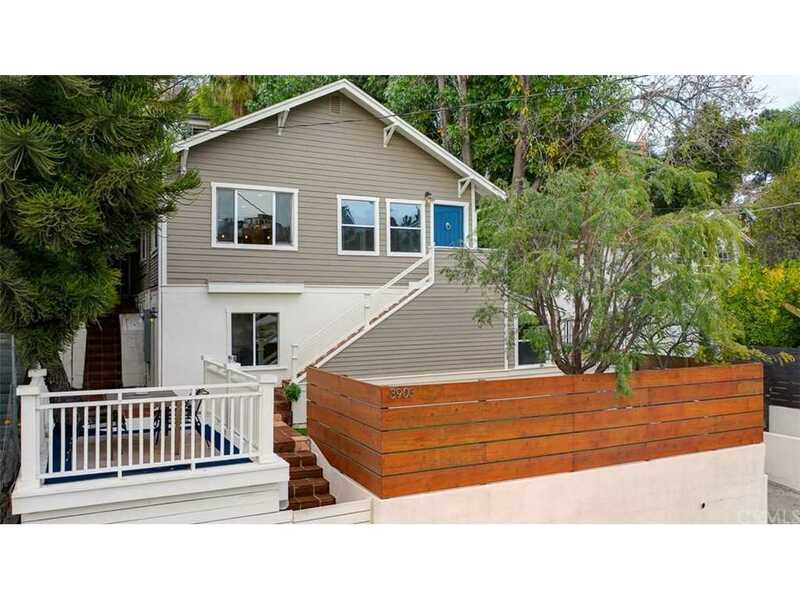 Home for sale at 3903 Fernwood Avenue Los Angeles, CA 90027. Description: The home at 3903 Fernwood Avenue Los Angeles, CA 90027 with the MLS Number IG19026514 is currently listed at $1,059,000 and has been on the Los Angeles market for 72 days. You are viewing the MLS property details of the home for sale at 3903 Fernwood Avenue Los Angeles, CA 90027, which includes 3 bedrooms, 2 bathrooms and has approximately 1293 sq.ft. of living area.